Farmers do more than produce the food we eat; they take care of our land. As some of the best stewards in the business, the farmers who grow the wheat for Stone-Buhr All Purpose Flour are constantly exploring and experimenting with responsible farming practices like “no-tilling” and crop rotation. Learn more by watching the slide-shows below. The no-tilling method is at the core of our sustainability practices. We are able to build valuable, nutrient-rich topsoil by directly seeding the next season’s crops. 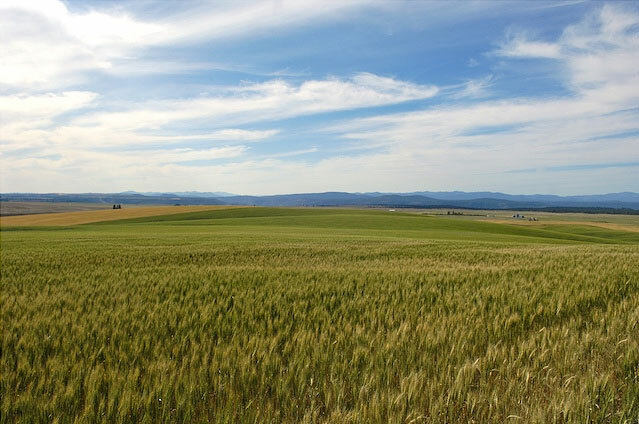 Customizing a crop rotation to complement the climate, land and season allows the farmers who grow the wheat for Stone-Buhr All Purpose Flour to return nutrients to the soil and maintain its quality. Food Alliance certifies sustainability at every level of our production of Stone-Buhr All Purpose Flour. The certification process begins at the farm and doesn’t end until the bag is on the grocery shelf, bearing the green Food Alliance seal of approval.